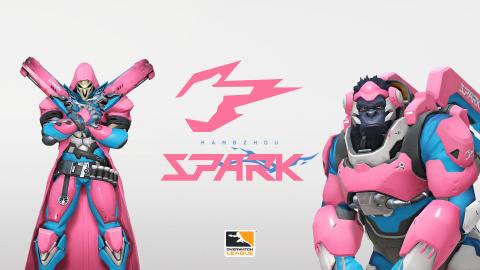 HANGZHOU, China — (BUSINESS WIRE) — November 14, 2018 — Bilibili Esports today announced brand details including the team name, logo, and colors for the Hangzhou Spark杭州闪电队The Spark are set to compete in the 2019 Overwatch LeagueTM season starting in February 2019. The Hangzhou Spark杭州闪电队is affiliated with the newly established bilibili Esports Company. Ms. Chen Youyou serves as the company president. Being a veteran of the game industry for many years, she has rich experience in managing and operating esports teams. Ms. Chen is well known as "So Jie" by Overwatch fans in China due to her years of devotion and support of Overwatch, dating back to the game’s open-beta testing. She has organized many official Overwatch competitions and events in the past few years, which have generated tons of high-quality content for the community.